lighthouse built two years earlier in Provincetown. By 1875, though the building was in poor condition and it was replaced in 1876 by a 42 foot cast-iron tower with a brick lining. 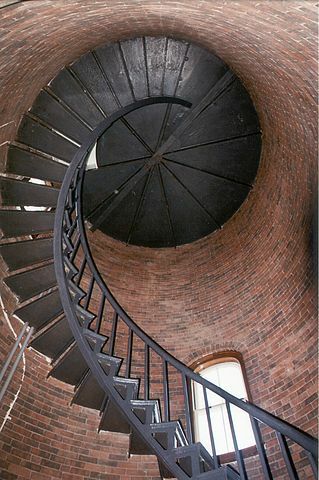 The tower is built of four rings of iron that were cast in Chelsea, Massachusetts and then assembled on site. The design is very similar to the Race Point Lighthouse. The tower was painted red at the time, but has since been painted white. 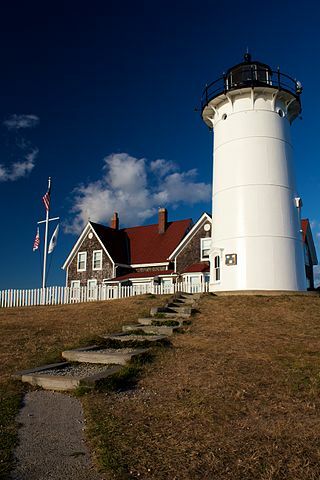 Originally an oil-burning lamp, the lighthouse now uses a 1000 watt electric bulb, but still uses a Fresnel lens. The lighthouse was automated in 1985, and the lighthouse keeper's house, some built in 1876 and some in 1907, has served as the Coast Guard Commander's home. Recently, the buildings were be taken over by the Town of Falmouth and the Friends of Nobska Light. One of the small buildings, still preserved, had served as an oil storage when the lighthouse had burned oil. A second outbuilding serves to house radio equipment. In the past, the Coast Guard had conducted occasional tours of the lighthouse, but it has now transferred the running of those tours to the Friends of Nobska Light. The lighthouse grounds can always be visited during daylight hours, though, and the views there are fantastic. A museum is planned in the next few years.